Gorgeous home with resort-style outdoor space and pool located in gated Newport Cove. Stunning open-concept floorplan features gleaming ceramic tile floors and soaring vaulted ceilings throughout the expansive living spaces. Gourmet kitchen offers the style and convenience of granite counters and gorgeous upgraded appliances. Split bedroom layout with roomy suites featuring large closets and upgraded bathroom fixtures and finishes. Fabulous lanai offers a sheltered spot for outdoor living; stunning heated pool, spa and sundeck provide the setting for luxurious outdoor entertaining. Beautiful stone driveway with double garage. 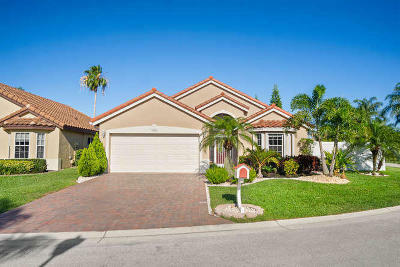 Newport Cove is a quiet and friendly community, with lush landscaping surrounding a serene lake. Clubhouse features swim, tennis, community room and exercise studio.